It’s Sunday, and Sunday means football! Instead of going out to watch the game and eating unhealthy bar food, stay in and make all your favorite snacks at home! Our brand ambassador, Christina Sullivan, created a series of football-inspired recipes that make it easier to stay healthy. This week, Baked Chicken Wings! Rinse and completely dry chicken wings. Pour your BBQ sauce in one bowl and your wing sauce in another bowl. Toss chicken in the dry rub. Bake on a wire rack (if you have one) for 20 minutes. For a crunchy, dry-rub wing, flip and bake for 10 more minutes. For a saucy wing, coat wings with BBQ sauce and bake for 10 more minutes. Remove wings from the oven. 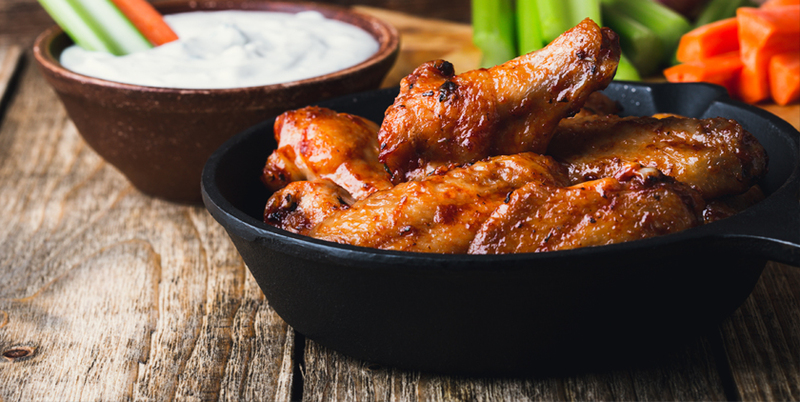 If you’re making saucy wings, coat in wing sauce.